Expedia can help you save heaps with a SoHo travel package. With all that extra cash in the bank, you might even like to book a few more nights. Savvy travelers who grab a package deal on Expedia will save up to 40,450 YEN*. In a matter of minutes, you'll be able to arrange everything you need for your next adventure through our enormous database. And — with more than 400 partner airlines and 321,000 properties from all over the world, you'll have the freedom to be fussy! Not sure about your booking? There is no cancellation fee from us if you make changes to almost any reservation. It can be really nice to just amble around the streets when you're somewhere new, but sometimes it's a good idea to have an agenda. 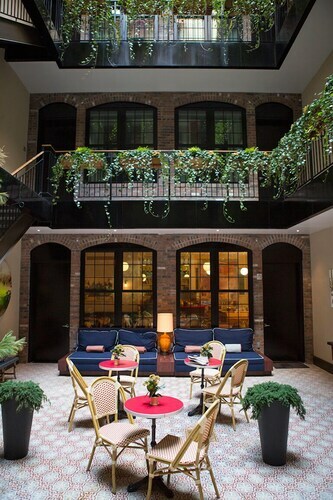 Grab your travel program — we have some cool ideas for your SoHo vacation. If you plan to stay in SoHo, there's no way you'll be able to miss seeing Brooklyn Bridge. This world-renowned attraction lures visitors from all across the world. Ready to see what all the hype is about? This neighborhood definitely doesn't disappoint when it comes to excellent attractions. The One World Trade Center and the National September 11 Memorial are some wonders that are only a stroll away. Shopaholics listen up — you'll be able to treat yourself to some impulse buying at Chelsea Market. Ready to work that bank card and buy up a storm? Visitors have an excellent selection of things to do in this destination. Choose a good vantage point and watch the people bustling by at Union Square. If you're feeling talkative, this public space is also an excellent place to have a chat with long-time locals. Still got time on your hands? There's nothing like seeing excellent art when your spirit needs to be nourished. As you gaze at the fabulous pieces at New Museum, see if you can find the deeper meaning. Experience all there is to see and do and go home with the best souvenir of all — memories of your fabulous trip! If you'd rather take a look at the full range of activities, head to our SoHo things to do page. After a long day of sightseeing, you'll be in need of a soft bed. 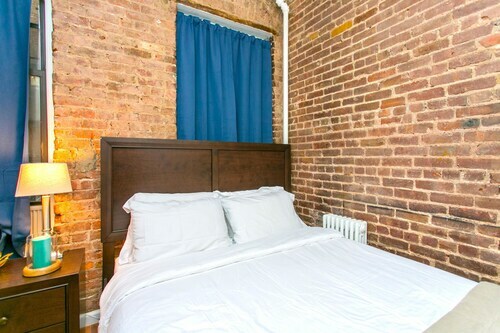 Luckily, there's a wide variety of accommodations in SoHo. Decide from as many as 108 options and jump-start your cheap vacation or luxury getaway. Searching for a comfortable place to stay with a budget price tag? 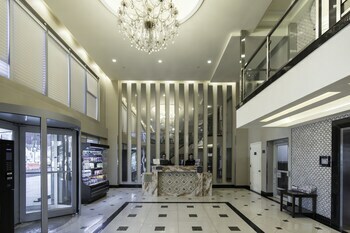 Take a look at the New York Marriott Downtown (85 West St) or the Off Soho Suites Hotel (11 Rivington St). Both have good reviews, and they don't cost an arm and a leg! 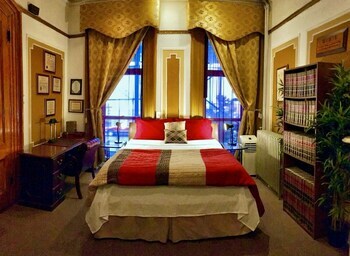 Prefer to stay in fancy surrounds? 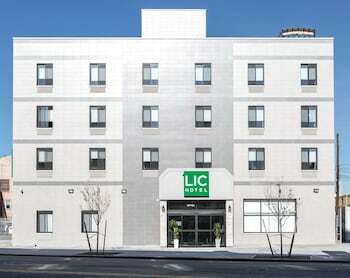 Also nearby, the MySuites (Christopher Street at Bleecker) and the Gramercy Park Hotel (2 Lexington Ave) will bring some luxury to your trip. 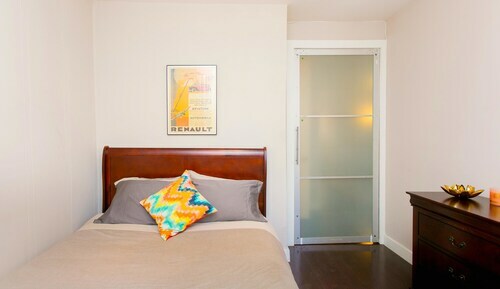 Staying within close proximity to Brooklyn Bridge is a terrific idea, and SoHo has some practical options! The Hampton Inn Manhattan-Seaport-Financial District is just 0.3 miles (0.5 km) away, while the Seaport Inn is a mere 0.3 miles (0.5 km) away. Are you trying to figure out how to go from LaGuardia Airport (LGA) to SoHo? After you have collected your bags, you'll be about 8 miles (13 km) northeast of the main streets. 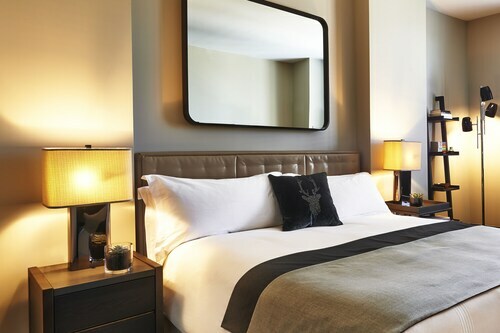 Located in SoHo, this luxury hotel is within a 15-minute walk of Washington Square Park, 5th Avenue, and New York University. National September 11 Memorial and One World Trade Center are also within 1 mi (2 km). Spring St. Station (Vandam St.) is only a 5-minute walk and Canal St. Station (Varick St.) is 6 minutes. 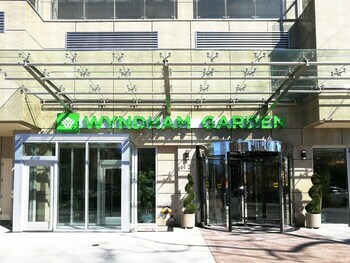 Located in SoHo, this hotel is within 2 mi (3 km) of New York University, 5th Avenue, and Washington Square Park. National September 11 Memorial and Bleecker Street are also within 1 mi (2 km). Spring St. Station is only a 3-minute walk and Prince St. Station is 5 minutes. 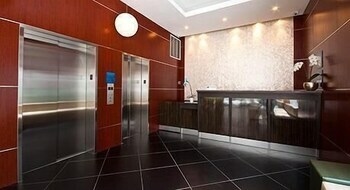 Located in SoHo, this apartment building is within 2 mi (3 km) of Washington Square Park, New York University, and 5th Avenue. National September 11 Memorial and One World Trade Center are also within 1 mi (2 km). Canal St. Station (W. Broadway) and Canal St. Station (Varick St.) are within a 5-minute walk. 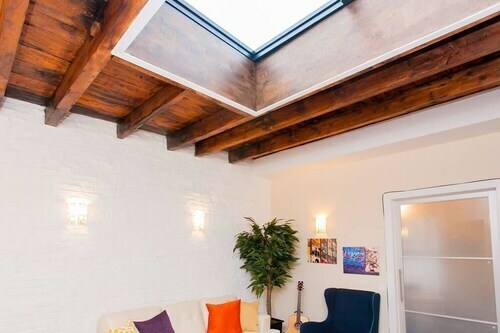 Located in SoHo, this apartment building is within a 15-minute walk of Washington Square Park, 5th Avenue, and New York University. National September 11 Memorial and Bleecker Street are also within 1 mi (2 km). Spring St. Station (Vandam St.) is only a 4-minute walk and Prince St. Station is 6 minutes. TYO-All Airports - John F. Kennedy Intl.